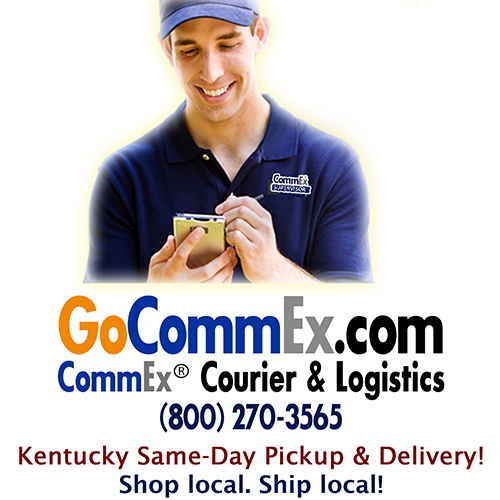 CommEx Courier & Logistics | Kentucky Same Day Pharmacy & Medical Delivery. We offer same day pickup and delivery in Bardstown, Berea, Brandenburg, Carlisle, Cynthiana, Danville, Elizabethtown, Frankfort, Georgetown, Harrodsburg, Irvine, Jeffersontown, La Grange, Lexington, Lancaster, Lawrenceburg, Louisville, Midway, Paris, Radcliff, Richmond, Saint Matthews, Shelbyville, Stanford, Versailles, Winchester, and all other areas of Kentucky. Those in Healthcare, Biotech, and Pharmacy rest easy with their life-saving packages safe in the hands of CommEx®. Our specially-trained couriers understand the sensitivity of these deliveries and treat them as if their own lives depended on it. Time is of the Essence. The time-sensitive and delicate nature of pharmaceutical deliveries require reliable, on time and secure transportation service. Prompt pickups and deliveries that lower transportation cost and risk of damage, and contribute to improving bottom lines. Precious Cargo. Our messengers understand the delicate nature of your business and your need for confidentiality and protection of materials and/or substances. Compassionate Care. At CommoEx®, our experienced couriers used to dealing with patients and others in the healthcare system. Dedicated staff and safe drivers who have extensive experience with time-sensitive cargo like medicines, vaccines and other medical supplies. Hospitals and Physicians. Pharmaceutical companies, hospitals, and medical centers know they can count on our expedited pharmaceutical or medical specimen deliveries in the Commonwealth of Kentucky. We aim to meet consumer needs effectively, reduce transportation cost and avoid damage/delay expenses. Patients, families, doctors, hospitals, and pharmacies depend on your products to improve lives every day. You need solutions that handle your deliveries with care, protect shipment integrity, prevent theft, provide visibility, and meet trade and regulatory requirements. 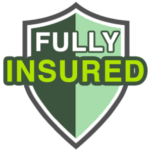 Contact us today for additional information or call us at (800) 270-3565. The healthcare industry requires special considerations when delivering medical equipment, supplies, and pharmacy medications to patients, long-term care facilities, and other offices. In addition to confidentiality requirements, some supplies need special care in regards to fragileness or specific temperature requirements. These special requirements have made medical courier services a valuable addition to the healthcare industry. Offices that use a medical courier show that they care about patient well-being and are willing to take extra steps to ensure needs are met. CommEx Courier & Logistics is here to help with all of your healthcare, healthcare devices and pharmacy courier needs! 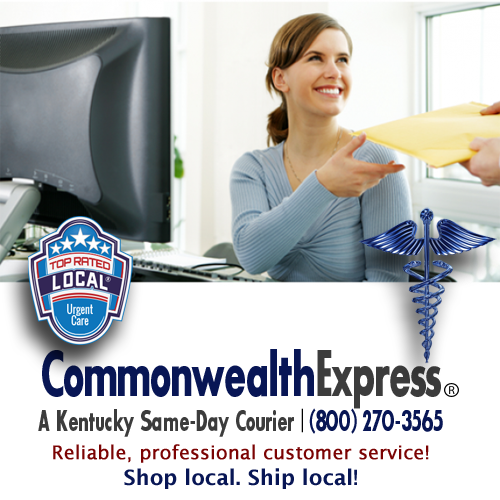 CommEx Courier & Logistics | Kentucky Same Day Pharmacy & Medical Pickup and Delivery in Bardstown, Berea, Cynthiana, Elizabethtown, Frankfort, Georgetown, Lexington, London, Louisville, Morehead, Nicholasville, Richmond, Versailles, Winchester, and all of Kentucky.